Imagine Taking Your Knowledge and Expertise and Turning it into a Steady Source of Income. You're Just Moments Away from Turning That into a Reality. As you can see the market for online learning is huge and it's just going to get bigger. The benefits of creating an online training program are extraordinary, both for your business and for your clients. Online courses have revolutionized learning, and with all the tools and technology available to us today. 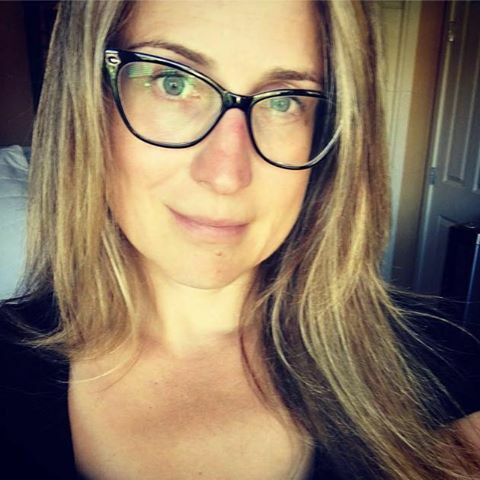 Whether you're looking for a way supplement to your income, are currently serving clients and want a less time-intensive way to use your skills, or are just ready to move your business to the next level, an online training program is one of the easiest and most effective ways to do that. Having your own online training programs is an excellent way to position yourself as an expert in your market. 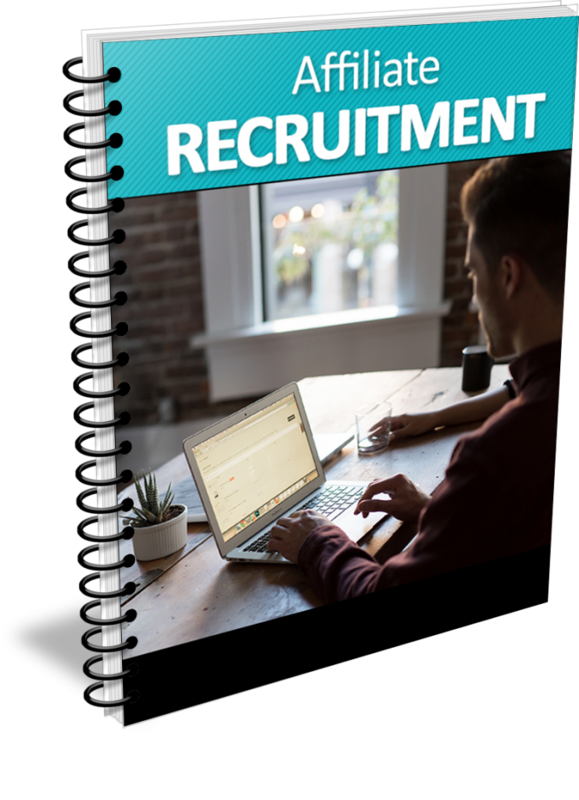 These programs bolster you as a leader in your market and open the doors for interviews, being featured as an expert and other publicity opportunities. They're also a great opportunity for connecting with other leaders in your market, allowing for an exchange of ideas, partnering on projects and other business-building benefits. All great things that make a direct impact on your business. Because the vast size of the e-learning market, when you create an online training program, you make it easy to tap into that easy-to-catch revenue. They are also a valuable source of nearly passive income. Once you’ve done the work for the topic, you don’t have to do a great deal of extra work to make money from it. And, if you currently provide your services on a one-to-one basis, this less time-consuming income can free you up to be more selective about who you work with. Add to that, an online training program is a terrific upsell opportunity. Through your course, your students will learn about other products and services you offer. The programs you create are an effective complement to the rest of your business. In addition to helping more of your current clients and customers learn new skills, an online course enables you to reach a far wider audience of potential new customers. And you do it simply with your knowledge, experience and teaching content, without working twice as hard. 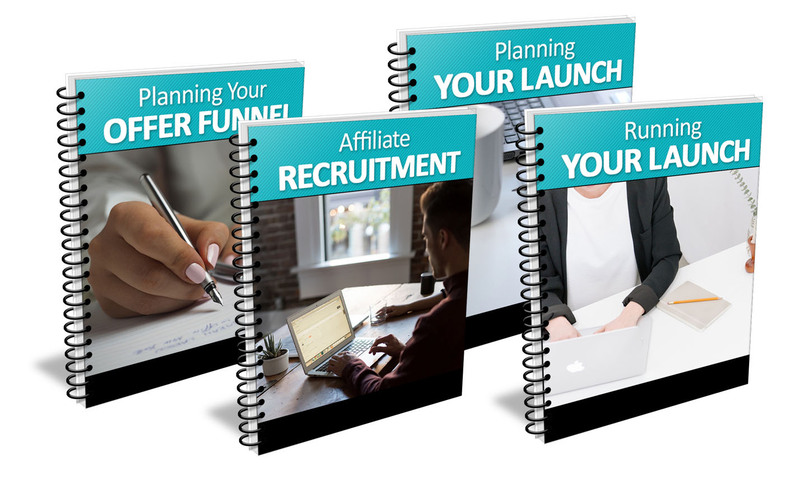 If you've reached a plateau gathering local clients, this is incredible news for you. For example, if you’re currently teaching a subject face-to-face, you can convert your knowledge and experience to an online course that reaches a potentially global audience. You can also adapt your one-on-one coaching content to an online course format. In short, you've probably already done a lot of the work you need to create a stellar online course. Online learning reaches more people and enables them to participate in courses when in normal circumstances they wouldn’t be able to. Your clients and customers can study and learn new skills at their own pace and at convenient times that fit in with busy schedules and lives. Add to that, online training is an incredibly affordable alternative to coaching or one-on-one learning. Students can access the knowledge and experience of experts such as yourself at lower-priced or more affordable options than one-on-one work. And if your schedule prevents you from taking on additional one-on-one clients, your clients can still access you and your knowledge via your online course. The problem with a lot of courses that teach you to create an online training program is they're rarely focused on providing your customers with the best learning opportunity possible. Of course, creating a high quality learning environment for your customers is extremely rewarding, but it's good for your pocketbook too. 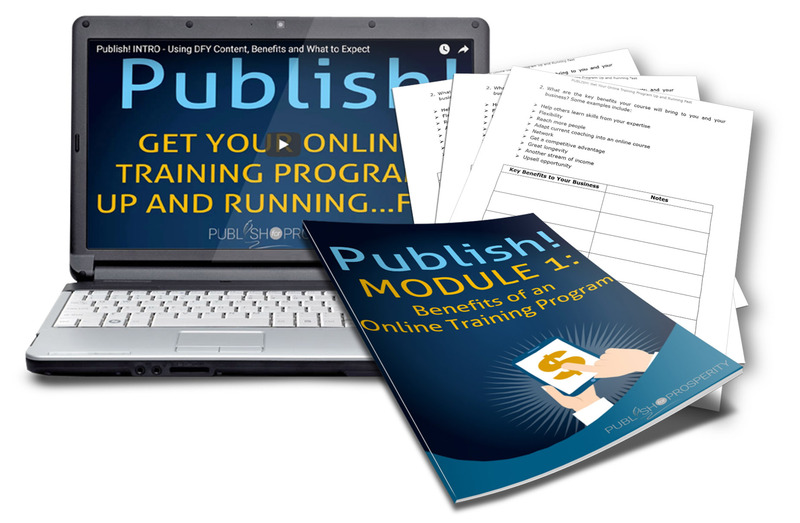 Many online training publishers simply focus on building one program after another, but never maximize the earning potential from one course because they didn't put the work in to create the best learning environment for their customers. They don't get the testimonials, case studies or the referrals, so they just move onto the next thing. That's extremely tiring and unproductive. There is a better way because it's not complicated to provide a stellar learning opportunity to your customers. 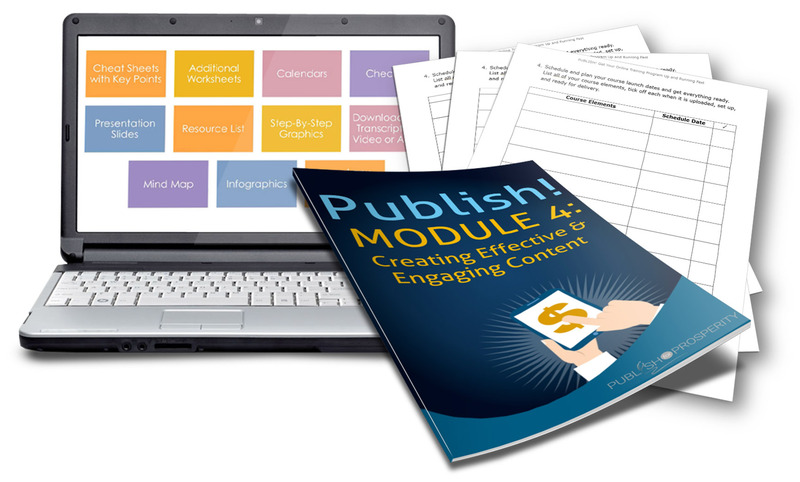 All you have need to follow the modules in the Publish! course and you'll be well on your way. This module introduces you to the many benefits of creating an online training program for both you and your clients. These benefits should guide you through the creation of your program and also give you better perspective when marketing your program to new students. It’s very tempting to create a course that teaches what you want to teach, and then try and market that course to your audience. You have a topic that you’re excited about and you want to tell others all about it. But the point of your online course is to enroll as many students and make the biggest impact possible. This module shows you how to do that. Today, people have wealth of free information available at their fingertips, yet they still choose to pay for training programs. That's because a well-designed program presents the precise information your students need to solve their problem with a clear pathway to beginning to end. 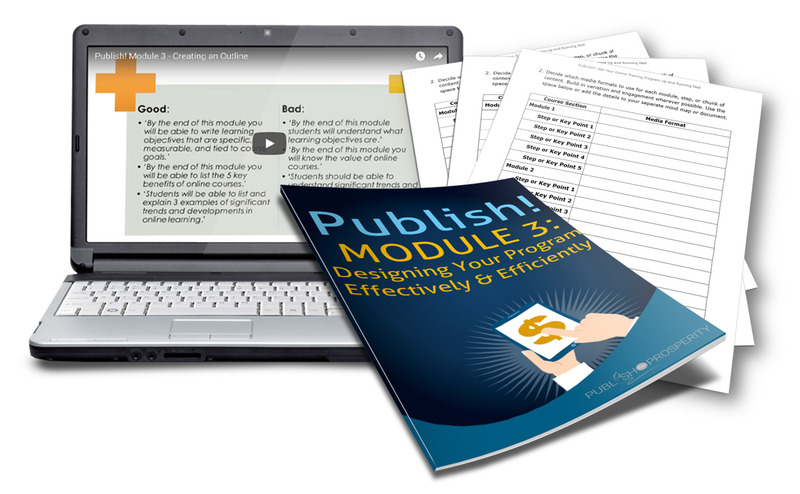 In this module, you'll learn to create a course that your customers can't wait to pay for. Interaction and engagement have a powerful effect on learning. Students learn more effectively and feel more motivated when they’re engaged with a course and its contents. This means they'll get more results and when they have more results, they are more likely to buy more products and services from you...plus recommend you to their friends. Now that your course content is written and edited, it’s time to address the tricky question of how much to charge for your online course. You also need to choose an appropriate delivery platform, decide how you’ll collect payments, and get your course scheduled and ready for delivery. 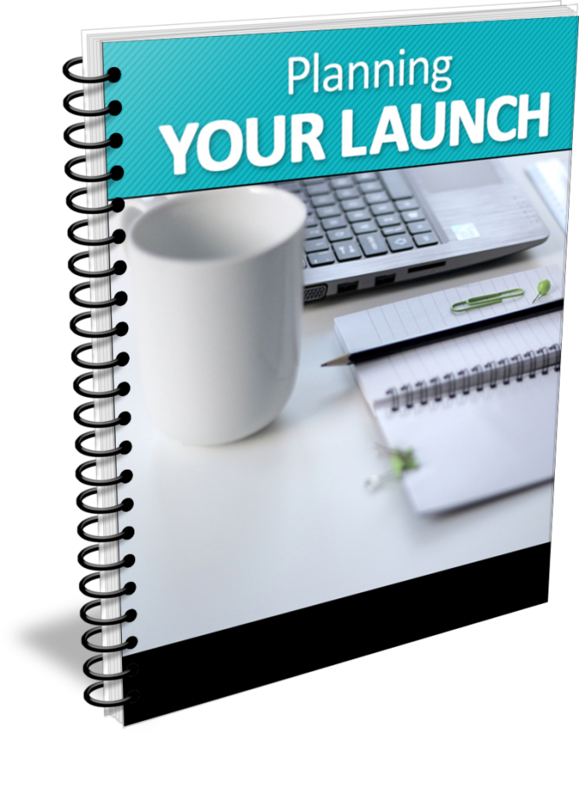 We'll walk you through all this so you can get your program up and running quickly. Running an engaging, results-focused online course ensures your students get the most out of their learning and implement what they learn. 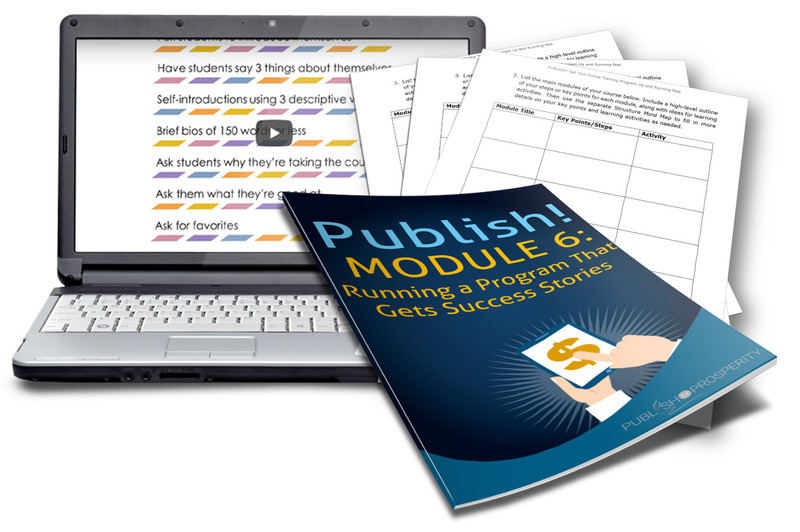 This module shows you the key ways you can run your course to encourage engagement, create a supportive, student-centered learning environment, and ensure your students are getting the results they need from the course. Once your course is running, you need to make sure it’s meeting your target market’s needs, and identify how and where it can be improved --- and you can continue to bring in new students long after your first run through. Your course isn’t, and shouldn’t be, static even when it’s completed and up and running. It will evolve to best meet your students’ needs as you learn what’s working well, and what isn’t. 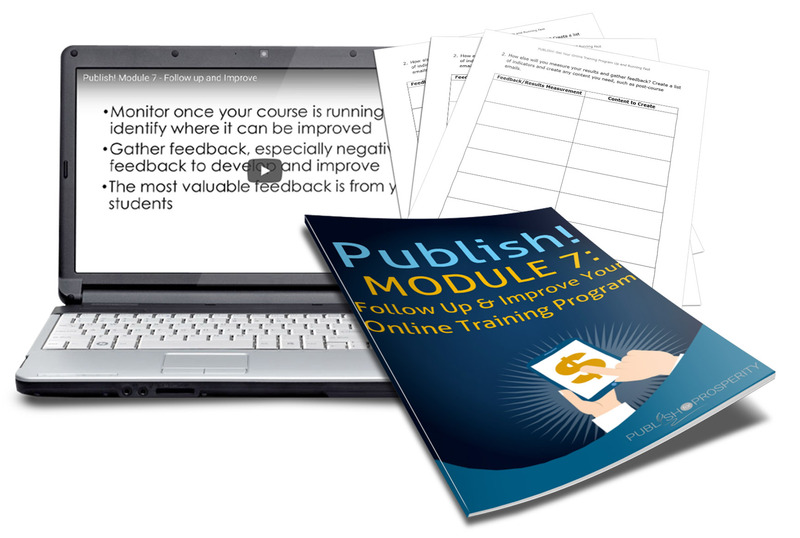 We walk you through all 7 major steps to creating your own online training program in a straight-forward, no fluff included guide. If you're an audio or visual learner, we've put all 7 modules in video format, so you can get started creating your course quickly. Get your course created as you learn. 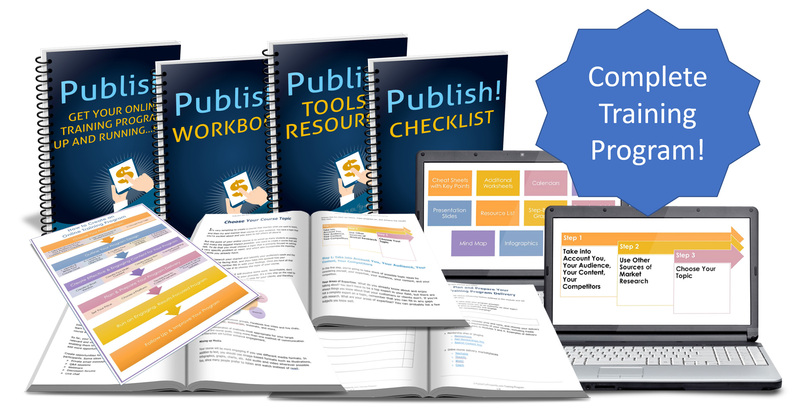 This companion workbook ensure you're getting to work as you complete course materials. This easy-reference checklist will come in handy when you're applying all the steps to creating your own online training program. Whether you need research tools, a payment system, course delivery platform, this quick-reference guide has all the resources mentioned. Need feedback, clarification or aren't sure of your next step? You can ask questions in your members area anytime and we'll get you on track. 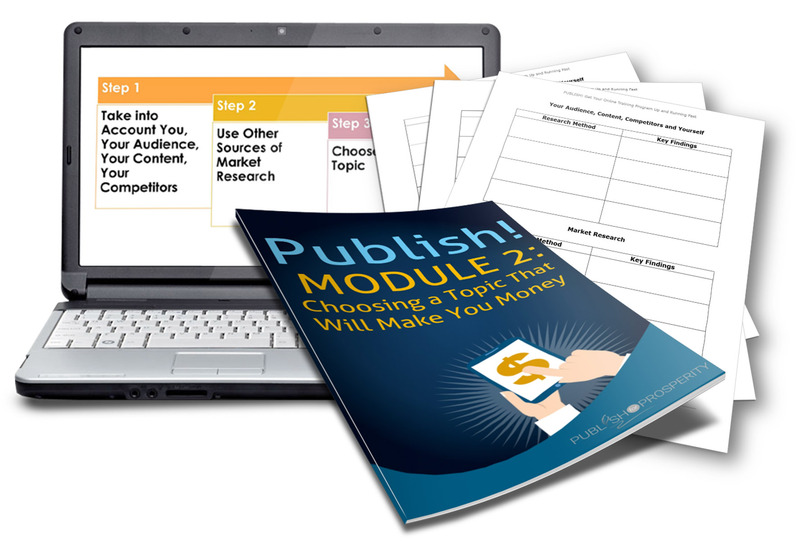 ...making it easy for you to learn and apply what you learn by creating and publishing your own profitable online training program. If you're ready to get started and create a stellar program that your students will be raving about, just join us below. You can learn at your own pace and get feedback every step of the way. Stop talking about creating a training program. Do it instead. Stop talking about taking fewer clients. Do it instead. Stop talking about boosting your expert status in your niche. Do it instead. Stop talking about multiplying your income through high-quality, low-maintenance training programs. Do it instead. Just click the add to cart button below and you'll have instant access to all the training materials, so you can start making this a reality right away. Register right now and you'll receive instant access to these limited availability fill-in-the-blanks templates, designed to make it easier to sell your online training program. Sales Page Template: You know the importance of having a rock solid sales page, but it can be difficult starting from scratch. That’s why we provided this sales page template to make it easy for you to create your high converting sales page. Get a huge jump start with this template. Thank You Page Template: Many people don’t realize the importance of a good thank you page. You want to include a special offer for them since they just made a purchase from you. This thank you page template will help you get more sales on the back-end. Upsell Page Template: If you aren’t offering your customers a chance to upsell for even more great content from you, then you’re missing out! This one-time-offer template will help you get an upsell in place to help boost your revenue and provide even more value to your customers. Call to Action Swipe File: The sole purpose of the call-to-action is to get readers to make a decision to take action now. It tells them exactly what to do next. This swipe file gives you a ton of ideas to ensure your customers know what action to take next. Closings Swipe File: The closing phrase allows you one last chance to convince your readers that your product will hep them overcome their fears, solve their problems and give them hope. This swipe file gives you plenty of ideas to include in your closing and postscripts. Headlines Swipe Files: Coming up with eye-catching headlines can be a real challenge. This swipe file is packed with fill-in-the-blank ideas you can run with. We wanted to make it easy for you. Power Words Swipe File: To motivate readers to take action, you need to ensure your sales copy includes power words and phrases that will encourage them to keep going. 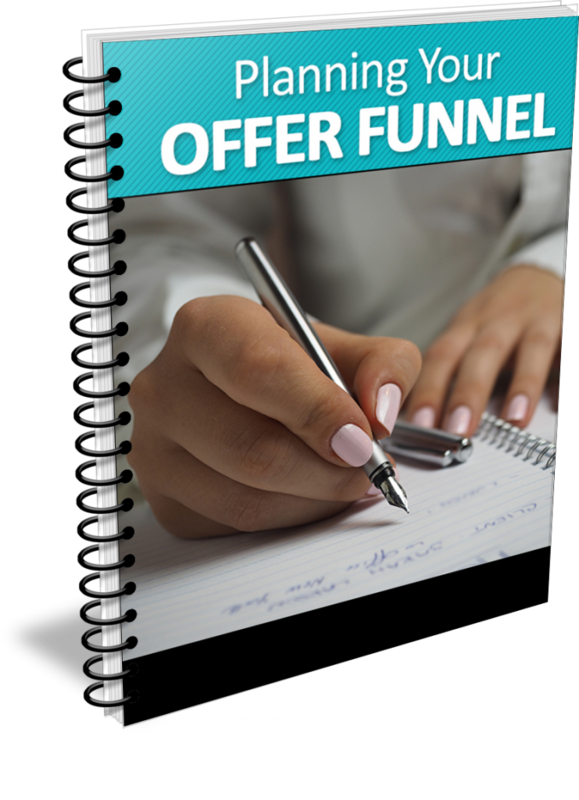 This swipe file includes 3 pages of power words for you to incorporate into your sales pages. Transitions Swipe File: Transitions in your sales copy smoothly connect paragraphs and ideas that encourage readers to continue along the page and keep learning more about your offer. Use this swipe file for pages of ideas to connect your copy flawlessly. Sales Page Graphics Collection: Professionally designed graphics for you to use on your sales pages. Including arrows and bullets, add-to-cart buttons, 5 guarantee seals, 5 download icon sets and editable product graphics. Not Sure What Some Of these Items Above Are? No Problem! The Insider's Strategy Guide that comes with these bonus templates will show you exactly what you need to know to use them effectively. If you're ready to roll, let's get started. Cut your learning curve and do things the right way, right away. 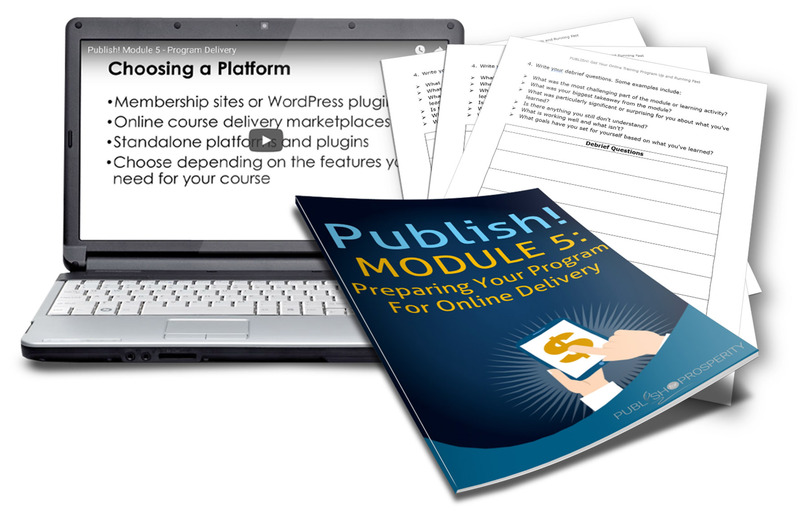 For less than the cost of adding one or two students to your program, you'll have the precise blueprint for creating an online training program your students will rave about. Save $20 on Your Tuition by Clicking the Add to Cart button above. 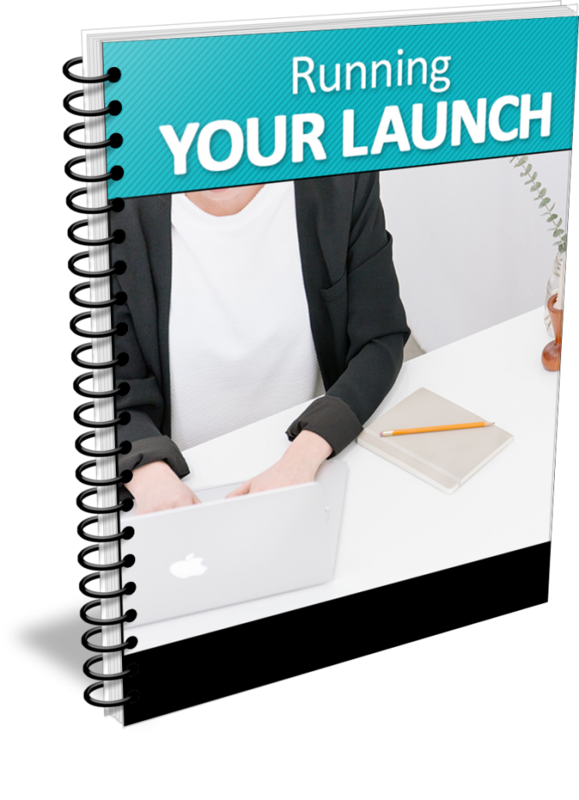 Just $97 $77 gives you complete access to all the training materials, opportunities for feedback and easy-to-use bonus templates. Once you enter the world of creating online training programs, you'll wonder why you didn't do this sooner. It's your opportunity to reach a worldwide audience, bolster your reputation as an expert in your field and add more passive forms of income to your business...so you can focus on the things that matter to you most.